The clad plates and heads have been mounted on our local site. Our owner is very satisifed with the quality. It is a pleasure working with you! The vessels arrived in our factory on March 26, and are already installed. We are grateful for your delivery of 2 weeks in advance and saved our time! 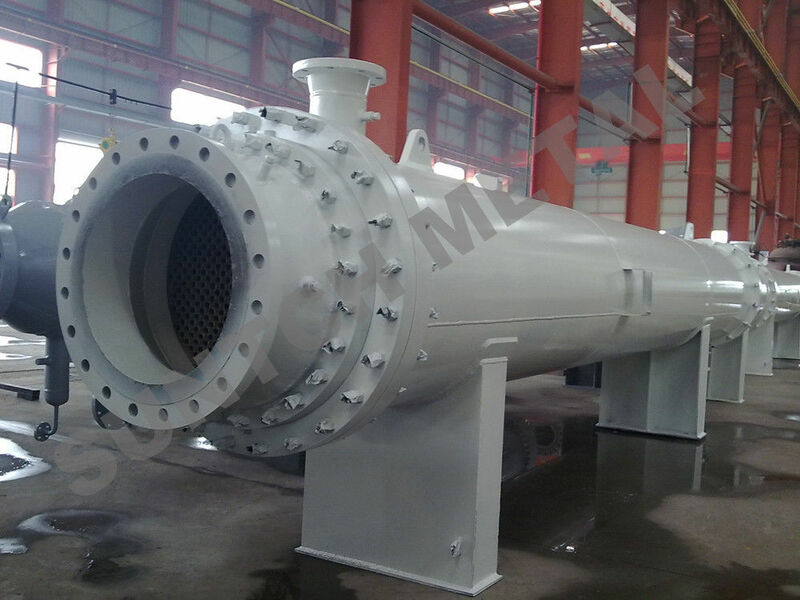 A heat exchanger is a device used to transfer heat between one or more fluids. The fluids may be separated by a solid wall to prevent mixing or they may be in direct contact. They are widely used in space heating, refrigeration, air conditioning, power stations, chemical plants, petrochemical plants, petroleum refineries, natural-gas processing, and sewage treatment. 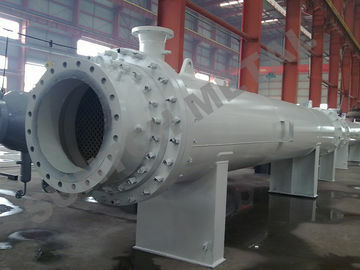 The classic example of a heat exchanger is found in an internal combustion engine in which a circulating fluid known as engine coolant flows through radiator coils and air flows past the coils, which cools the coolant and heats the incoming air. 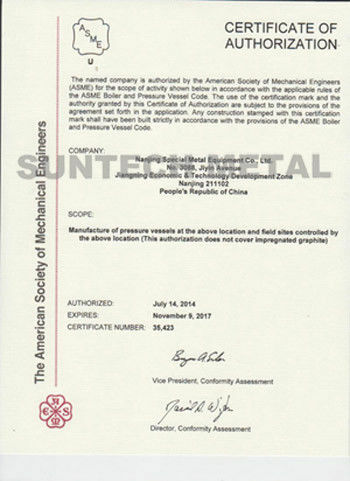 Suntech has been certificated by ASME U,PED andNB which are accepted by many famous domestic and oversea companies. 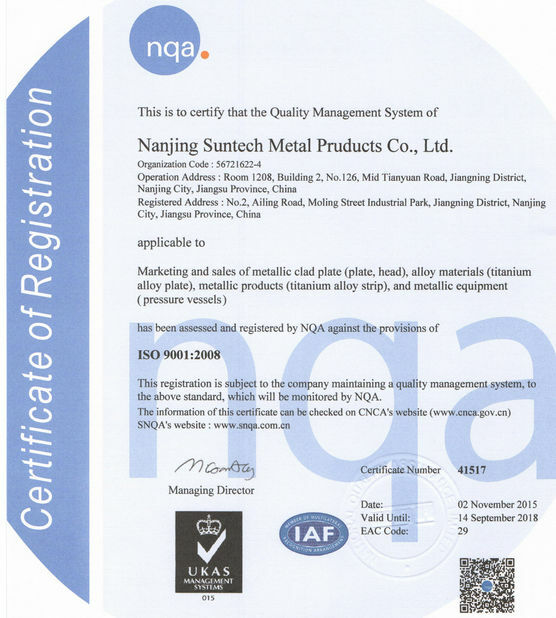 and also established the quality control systerm based on ISO-9001 which have been implemented to the process of R&D, fabrication, logistic , Markting and services. 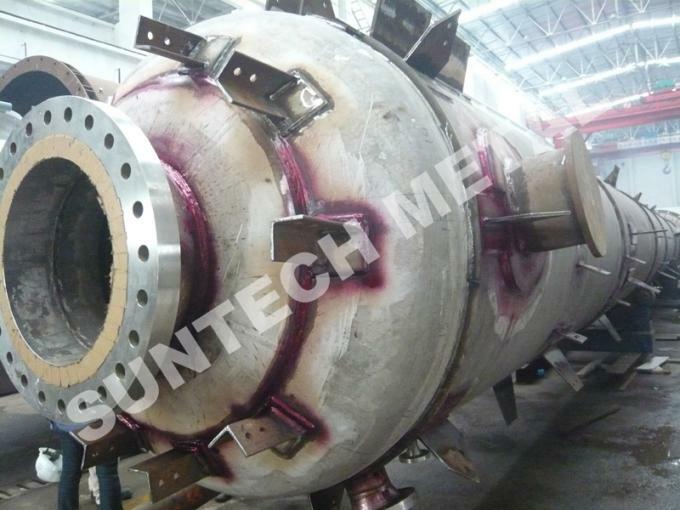 Nanjing Suntech Metal Equipment Co., Ltd.
China Good Quality Shell Tube Heat Exchanger Supplier. 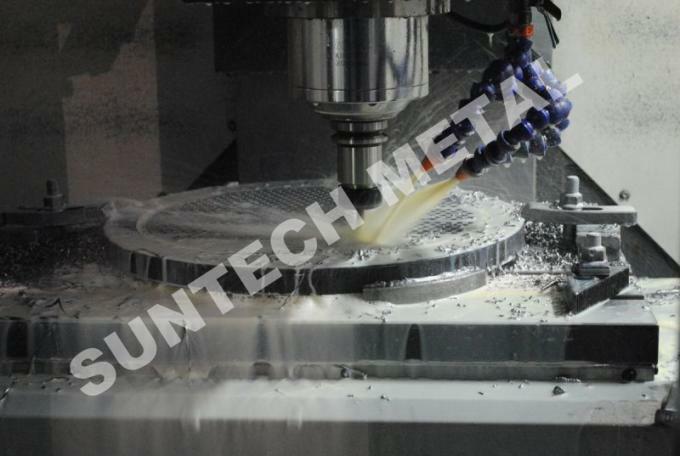 Copyright © 2016 - 2019 suntech-metals.com. All Rights Reserved.